Dog & Cat Flea Treatment at Huge Discounts! Lowest Prices And Free Shipping On Cat and Dog Flea Treatment! WELCOME TO OUR PET STORE! If you are a pet owner and love your furry friend then this site on flea treatment is for you. The first step in pet care is always to get rid of fleas with a good product and preferably a brand name product that as recommended by your vet. Here at the Flea Treatment Store we give you the best veterinary treatment advice and the lowest prices on any brand name flea product for dogs and cats. So if good pet health is important to you then you have come to the right place. By stopping the flea life cycle and killing the fleas that are already biting your pet, you will be able to eliminate these troublesome pests from your furry friends and from your home. Proper flea treatment for dogs and cats is a very important first step for good pet health. A simple and safe topical (surface) application is the preferred method of flea treatment for most cat and dog owners. But choosing the right product is not always as straightforward as it seems, and different medications get rid of fleas in a number of different ways. Remember that flea elimination is just as important in your home environment as on your pet. That's why it is always a good idea to wash all dog and cat bedding in very hot water at least once a month. And when it's dry you can vacuum the bedding a number of times to remove any remaining eggs or fleas. 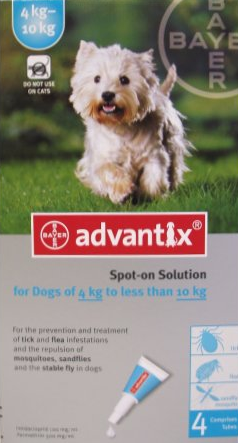 The best flea treatment for dogs is Frontline Plus, but there are many other good branded products like Advantage, Capstar andProgram Plus that can effectively treat infestations with fleas, ticks, heartworms or worms. Frontline Plus is recommended by vets worldwide as an extremely effective cat or dog flea treatment. Revolution is a liquid topical application with no unpleasant odor, that contains Selamectin and is applied monthly. Application is always at one spot on the skin between the shoulder blades of your pet and it is safe enough for use on puppies and kittens over 6 weeks of age as well. 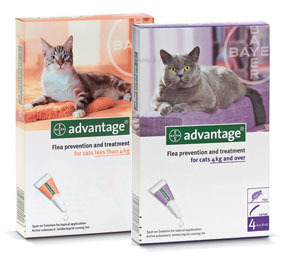 Advantage for dogs and cats is another topical medication that stops fleas biting within 4 to 6 minutes and starts killing the adult fleas within the first hour after application. Frontline Plus is a topical pet medication which is known to effectively kill 90 to 100 percent of all adult fleas on your pet within 24 hours after application. 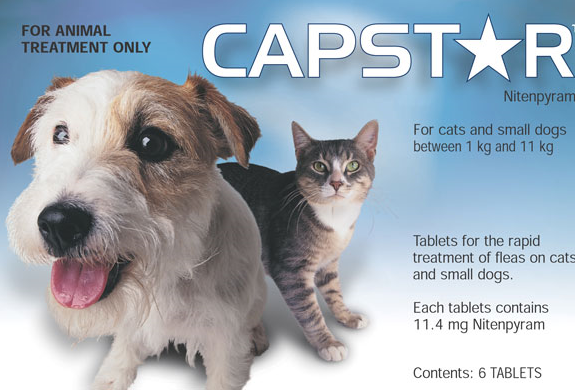 It also kills ticks within 48 hours of application and is an effective remedy for dogs as well as a cats.Capstar flea treatment pills are used to provide quick relief to pets that are infested by fleas - it is given as an oral tablet and starts killing all adult fleas on your pet within half an hour. 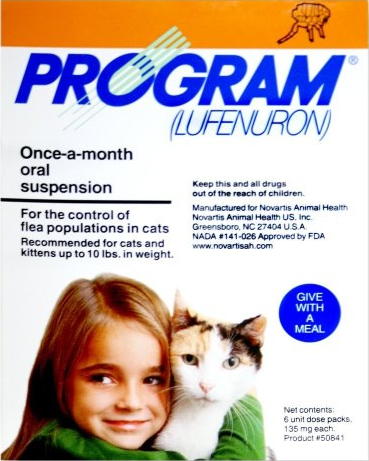 Another safe medication for dogs is Program, as is Sentinel (also called Program Plus in some countries). Using cat flea treatment regularly is important to prevent the secondary but all too common problems of flea dermatitis and skin infections. The same problems occur in dogs and using a good dog flea control product is something you, as a responsible dog owner, should be aware of. One of the more common side effects of a topical dog medication is the fact that dogs may experience some minor form of temporary skin irritation. The first pet flea & tick application should be given in the spring and the second treatment can be administered by mid summer. But some pet owners will need to treat their pets more regularly, even once a month, especially if your pet plays with other cats or dogs in the neighbourhood. Other methods favored by pet owners are oral monthly tablets, bathing your pet with a dog flea shampoo or giving it a dip. If you catch these pesky parasites early on, you may be able to stop them from taking over your home as well.